Now in it’s third year, we’re ready to give you a bigger and better action packed, three-day epic festival. Be prepared to celebrate gaming as we bring our three halls to life with our esports arena, gaming tournaments, BAFTA workshops, YouTube celebrity meet and greets and the chance to play long-time favourite and upcoming gaming titles. Massive YouTube star Syndicate will be here and for the first time ever in Scotland, he’ll be bringing his Syndicate Original booth filled with exclusive show merchandise. BAFTA-led Young Designer workshops will give any aspiring game designers the chance to learn from the best in the industry. Along with the Kids Zone featuring fun filled activities, there will be Retro and Indie Zones to enjoy, plus the chance to play your favourite games. Whether you want to get your floss on with Fortnite, build your own fortress with Minecraft or even get your hands on the latest Spiderman game, there’s truly something for everyone at Resonate! 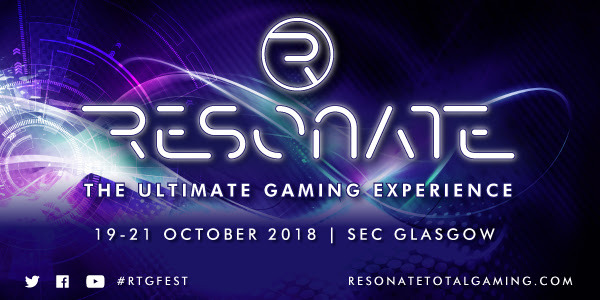 Resonate - The Ultimate Gaming Experience, is coming to the SEC, Glasgow from 19 to 21 October! 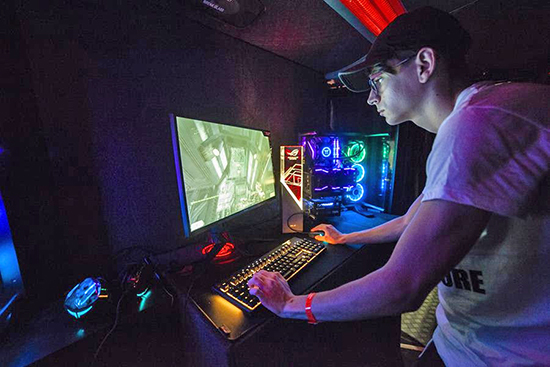 Now in its third year, the three-day celebration of gaming is bigger for this year with three action packed halls; an eSports Arena, gaming tournaments, BAFTA workshops, YouTube celebrity Syndicate & many more, and the chance to play long-time favourite and upcoming gaming titles. Visitors will enjoy a fun, interactive weekend of meet & greets, and for the first time in Scotland, the Syndicate Original booth, packed full of exclusive show merchandise. BAFTA-led Young Designer Workshops will give visitors and aspiring game designers the chance to learn from the best in the industry. Along with a Kids Zone featuring fun filled activities, there will be Retro and Indies Zones to enjoy, plus the chance to play your favourite and upcoming games including Fortnite, Super Mario Party, Spyro, Minecraft, Splatoon 2 and many more.